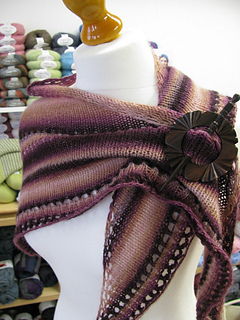 A simple triangular shawl. 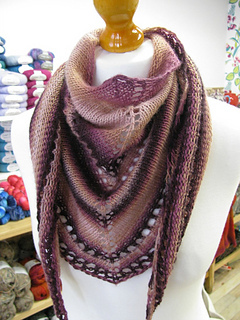 Great for a first shawl project for a beginner. It measures approx 160cm across the top edge and about 45cm down center spine. 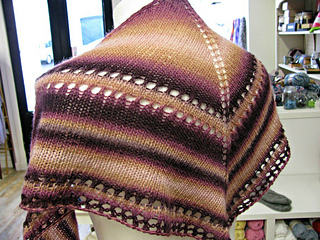 Blocking greatly enhances this shawl! You start at the top with a few stitches, you then increase at the edges and down the centre spine. You can use a stitch marker to mark your spine and remind you to make your increases.